Even the best-maintained kitchens occasionally get a fruit fly infestation. These critters descend, lay eggs (up to 500 at a time! ), and then disappear usually only after extreme cleaning efforts (i.e., finally attacking that weird puddle of goo behind your refrigerator). 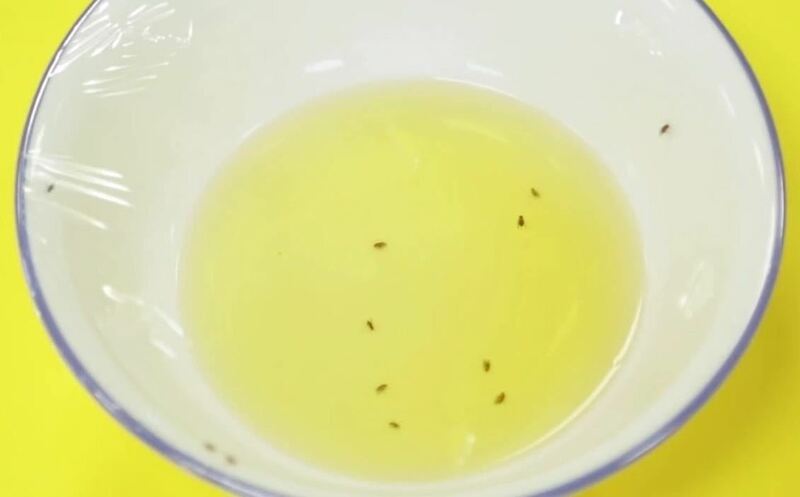 And while giving your kitchen a regular, thorough cleaning is always a good idea, it turns out that there's an easier way to noticeably reduce the fruit fly population in your house—use simple, homemade traps. Fruit flies, it turns out, are incredibly dumb and have only two purposes in life: to reproduce and seek out the rotting fruit that help them do that. In order to reduce their population, you need a few ingredients: a shallow container, apple cider vinegar, dishwashing soap, and plastic wrap. Check out the full instructions in the video above from Chemical Reactions, starting at around the 1:01 mark, or continue with my quick breakdown below. First, pour an inch or two of ACV into your bowl. 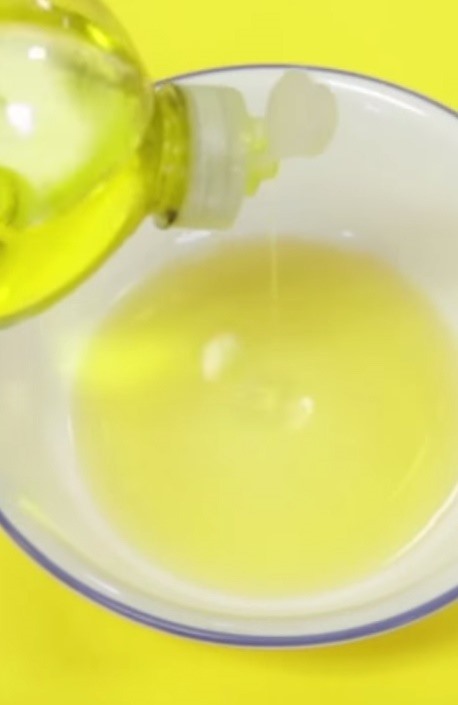 Next, add a few drops of dishwashing liquid. This breaks the surface tension of the ACV and ensures that once any fruit flies get near the vinegar, they won't be able to climb out. 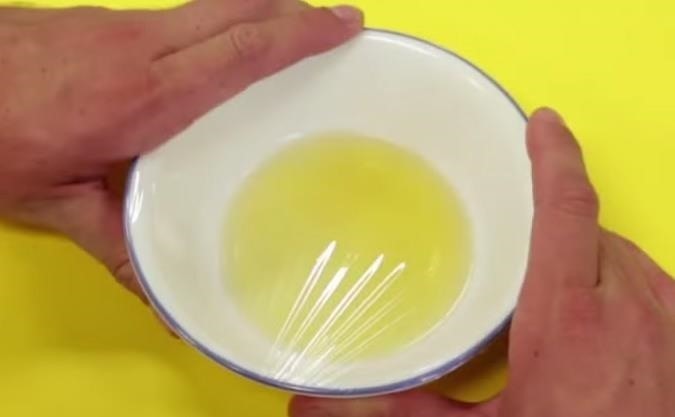 Cover the bowl with plastic wrap and puncture the wrap with something sharp to make several small holes. While the demonstrator uses a knife here, you could also use the wide end of a toothpick or fork tines. Don't make them too big: you want the fruit flies to be able to get in and to limit their ability to get out. Set the trap close to where the fruit flies gather and you'll soon see a few of them crawl under the plastic wrap. Why do they like vinegar so much? As Chemistry Reactions explains, fruit flies like to lay their eggs in fermenting environments, which the ACV mimics. After they crawl under the wrap to check out all that vinegary goodness, the dishwashing soap ensures they are pulled into the liquid and drown, since there's no surface tension available to help the little pests crawl back up to safety. Of course, to ensure that you don't get fruit flies in the first place, you should limit how much produce you keep outside and clean out places where rotting food likes to hang out, like your garbage disposal and compost pail. 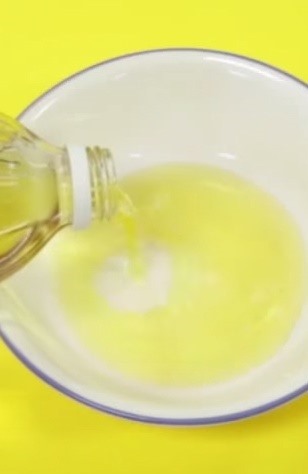 You can also see a couple more demonstrations on how to make a fruit fly trap here (which uses red wine instead of ACV) and here (which uses regular distilled vinegar). How do you deal with fruit flies and other kitchen pests?